I confess to being a Meal planner that doesn’t ALWAYS plan, life happens that way some times. 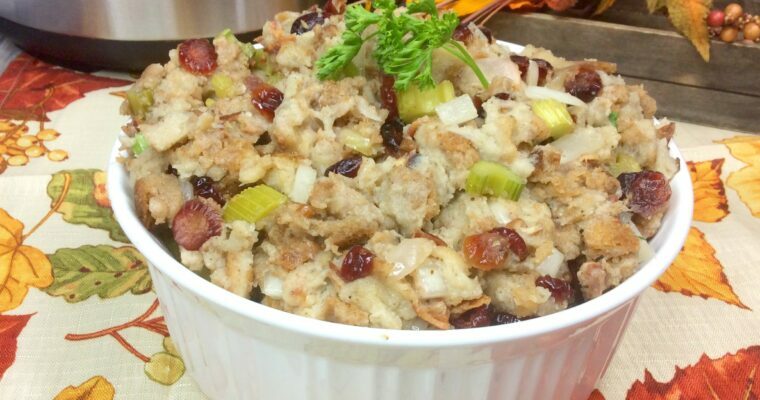 But you still need a hearty dinner to feed the family right? 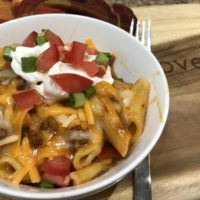 This Instant Pot Taco Pasta Supreme is winner at our house every time. 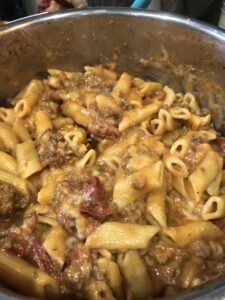 In under 30 minutes not only will you have a delicious steaming hot pot of delicious Instant Pot Taco Pasta Supreme, you also have time to make Cheesy Chili Bread. Oh, and did I mention the Intentional leftovers you can take to work tomorrow? Mmmmm, lunch is going to be GOOD! Now I know this may not be the lightest and healthiest of dinners with all those carbs, so I do also make a crispy salad with a vinaigrette dressing to lighten things up. There are also the veggies I use as the topping for the Taco Pasta, that’s the Supreme part. Honestly, this is as simple as it gets in terms of last minute dinner in a hurry, and it’s done all in one pot, the Instant Pot, so clean up is a breeze too. First you saute the ground beef, add in Salsa (that’s my secret ingredient), a few Mexican spices, dried pasta, water and tomato sauce. Set it and forget it, the pressure from the Instant Pot does all the work for you, and you won’t get the dreaded burn warning if you follow my layering technique. 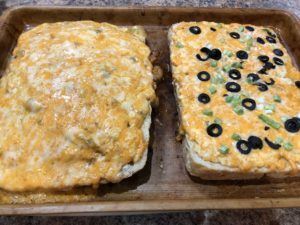 Now you have time to make my Incredibly decadent, Cheesy Chili Bread, and yes it’s worth the extra few minutes, it’s outrageously good. It looks like this! For the salad, a simple tossed green salad, with an oil based vinaigrette will lighten up with meal. 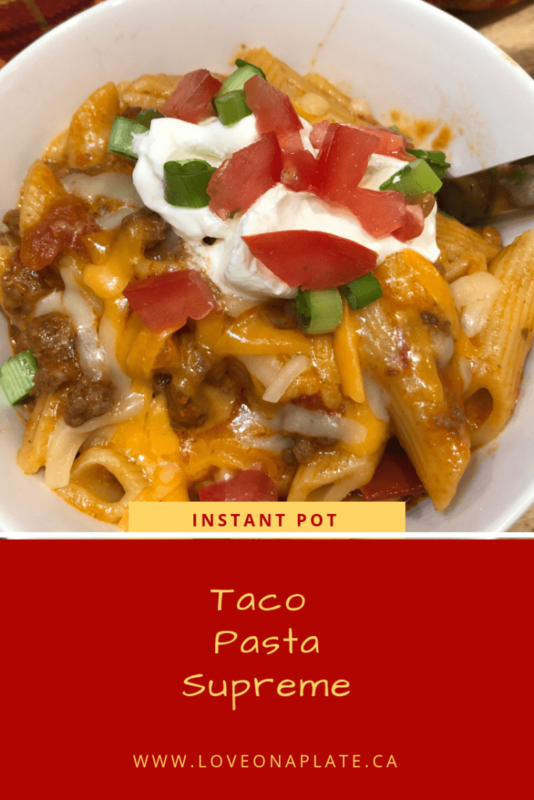 When you take the ever popular, kid favourite TACO's, add comforting, budget friendly pasta, stir in just a LITTLE cheese, and cook it all in the Instant Pot, you've got dinner! Set Instant Pot to saute on high heat and add olive oil. 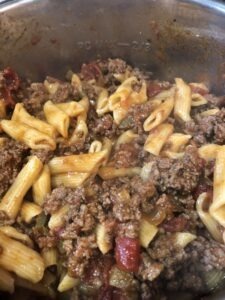 Add ground beef and cook 4-5 minutes until cooked. Stir in chili powder, ground cumin and salt. Pour in dry uncooked pasta and water, do not stir but make sure all noodles are just covered with liquid. Next pour in salsa and then tomato sauce last. Do NOT stir. This layering ensures that the thicker tomato sauce doesn't get to the bottom and cause a potential burn warning. Cancel Saute setting. 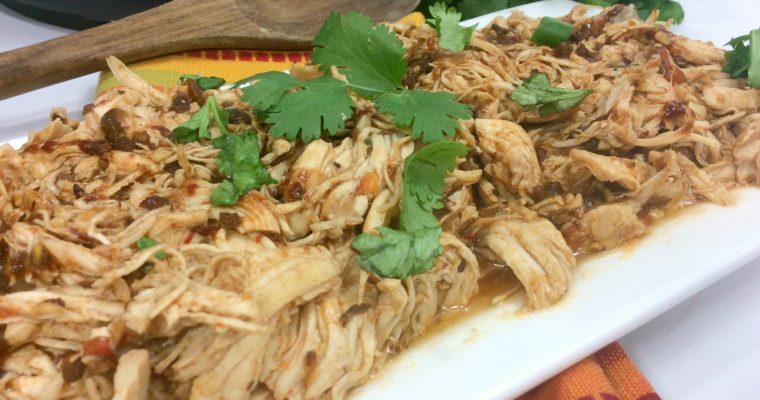 Turn Instant Pot to Pressure Cook on HIGH pressure for 9 minutes. Place on lid, seal and set steam valve to closed. When the timer beeps, cancel the pressure cooking, and turn the steam valve to open to do a quick release. Remove lid, and immediately stir in the layers of tomato sauce and salsa. Add 2 cups shredded cheese and stir well to combine. Get all the way to the bottom to get the ground beef well mixed in. Taste for seasoning and adjust salt if needed. Serve topped with sour cream, chopped green onion, diced tomatoes, sliced olives and a sprinkle of cheese.